With winter just around the corner the fitness regime can tend to get pushed to the end of the ‘to do’ list. It can be hard enough to motivate yourself to go for a run on a bright, sun shining day so adding cold, dark nights and dull, drizzly days to the equation leaves a lot to be desired in the way of exercise inspiration. In order to get you back in the mood give your winter workout wardrobe a revamp and change your routine to suit the weather. Swimming is one of the best exercises you can do to work out the whole body, plus during the winter months you are safe inside the warm, humid environment that the swimming pool offers. If your summer bikini has lost its support and gone bitty on the bum treat yourself to a new womens tankini. The tankini is great for swimming sessions during the winter giving the feeling that you’re wrapping up for the pool – even if it is just an extra piece of material around your midriff. What better excuse for a skiing trip than to help you with your exercise regime? Ok, so maybe that might be a little extreme but you can still have lots of fun on the indoor and dry ski slopes around the country. As well as an entertaining exercise session you can also ensure you look hot enough to melt ice on the slopes by kitting yourself out with brand new ski gear. Several of the biggest high street fashion brands now offer amazing skiwear and accessories to help you turn the ski slopes into your very own catwalk. 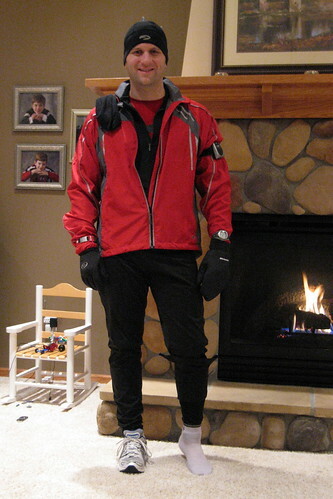 If you are insistent on heading outdoors to exercise in the cold then make sure you dress appropriately. We’ve all experienced that painful shooting sensation when the wind whistles past your ears and your face feels like it’s frosting over. Of course it seems irrational to pile on the layers when you’re going to be getting hot and sweaty but a woolly hat and ear muffs are a must to prevent the brain freeze you thought could only be induced by downing a slush puppy in 30 seconds. If you feel the layers restrict your freedom there’s also a great range of thermal running clothes that keep you warm, allow your body to stretch and your skin to breathe.